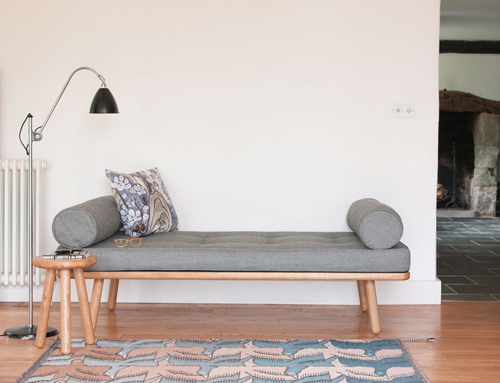 Today I’m loving … these gorgeous day beds from Another Country. I especially like the one in the red/white fabric (top image)! In the daytime the bed can be used for lounging and additional seating and at night as a put-me-up (and shares the proportions of a standard single bed) for guests who just don’t want to go. It can also easily be used as a coffee table. The base of the day bed is solid European oak and the mattress is made by Naturalmat in Devon, UK. It has an organic latex core wrapped in organic coir and wool. It comes upholstered in a Bute fabric from Scotland with a six-button detail. 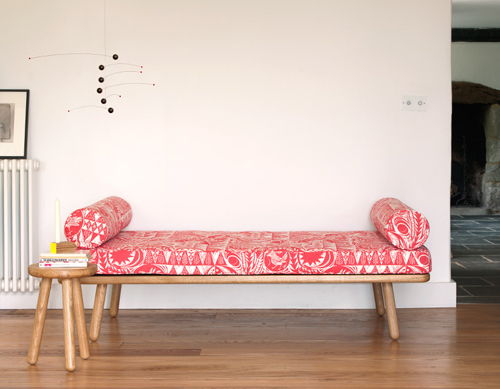 More information and other gorgeous furniture pieces can be found on Another Country’s website. Nice… i’m thinking of getting one as bed… 🙂 this multifunctional bed-bench-table is so nice to look at….